Surprisingly enough, it's not often I get a product that I think is a complete and utter failure. I'm quite savvy, I do my research before I buy and I keep my ear to the ground about what's hot and what's not. Sometimes I get products that I feel didn't live up to the hype, or just didn't work for me. Every so often though, I find a product that is really so very useless that I think it is a complete beauty fail. I am aware that one man's trash is another man's treasure, and I accept and respect that some of you might love some of the products that I mention in this post, and that is perfectly fine and you can feel free to disagree with me in the comments if you wish. These are some of the products that I consider to be not worth the packaging they come in. This was THE disappointment of 2013 so far. Couldn't wait to get my hands on it. Don't know why I was so excited tbh. Nothing innovative or unique about it. I hate the packaging and the fact that not only does it not have a pump but instead it has a gaping crater of a hole where all the foundation comes spilling out. Silly wastage, and it's not really a bargain high street foundation is it €13.99, I would expect some sort of a pump or some more useful packaging. I also don't like the screw top, I think it's really awkward. I would be able to forgive the terrible packaging if the product was I actually liked the product but I don't. The coverage is ok, I would say it's a pretty decent medium. The colour is questionable, I found that this oxidized quite severely on my skin and I picked the colour that I take in other Revlon Foundations (003 Shell). The foundation is so greasy and shiny looking, it makes me ill even thinking about it. It literally would not last any time at all on my skin before becoming shiny. To combat this shine, I went out and bought the Nearly Naked Powder in shade 020 Light Pale, thinking that these would be a good match together. The powder applied terribly over the foundation and I have now dubbed this duo 'Nearly Cake-d' because of the horrible cakiness of what should have been a nearly naked, natural looking foundation. This foundation and I did not get on at all. I would rather have put the €25 towards a decent high end foundation. This little sphere actually left my lips dryer and in worse condition than they were before I used this. It didn't moisturise or soothe my lips, it just ripped them to shreds. Quite literally. Evolution of Smooth indeed. I like the idea and the sphere shape but I will be sticking with my Balmis from now on. I have nothing more to say about these other than if you have dry lips and are looking for something nourishing and hydrating, give these a miss. I dedicated a whole blog post to what a fail I thought this was. The formula was too wet, the brush makes me flinch. If you want to read about the ways that this mascara failed me, check out this post. Again, this is a product I really did my research on before purchasing and I was very disappointed with it. I've already detailed how I tried to get it to work for me in this post and I am sad to say that there have been no developments on my sentiments that I expressed then. I know that this is a wonder product for many but for me, it was a waste of money. You win some, you lose some I know, but I can't help feeling disappointed by Strobe Cream, I will never repurchase it and I feel like I wasted a not inconsiderable sum of money on it. 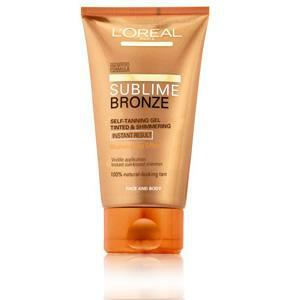 I heard that this is one of Cheryl Cole's favourite fake tans, and I thought she looked sufficiently bronzed to justify buying it. Before Cocoa Brown, I was a complete fake tan phobe, only fake tanning for occasions like parties where it was really not acceptable for me to be so ghastly white. Alot of my college friends used this also, and they had good things to say, so I was sure I was onto a pretty good thing. I am massively disappointed with this product for a few reasons. The packaging is just tubular and nothing special, but that's ok. The consistency of the actual 'gel' itself was really runny which kind of scared the jeebies out of me- accident prone me was liable to coating everything in my vicinity with this golden liquid. The product smells awful, and gets worse as it develops, that horrible fake tan smell of burnt biscuits or meat of whatever it is. Also, this product was unbelievably shimmery and I hated that- it was like being coated in orange and then someone taking to you with a glitter gun. I would actually say that even for a night out, this was too glittery. I got the lightest shade and it was far too dark and orange for my liking, not even remotely sunkissed or natural looking. It felt heavy and sticky on my skin for a long time after applying, and it faded off unevenly and in patches, like no other than I ever tried before. This was just a complete fail for me and I would go bareskinned before I would repurchase this. Completely agree about the eos... I got two of them in a pack and I try to use them up so that my money was not a waste but they just do not do anything for my lips. So I just end up going back to my MAC lip conditioner. Also agree with the EOS - I went through a phase of loving them but it was pure novelty, they're actually complete rubbish, same with Baby Lips! 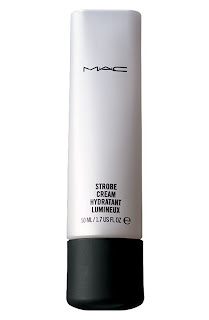 I had been questioning strobe cream for a while whether or not to go for it, but this has set me straight!